Welcome to our newest member - Bryan Paul! 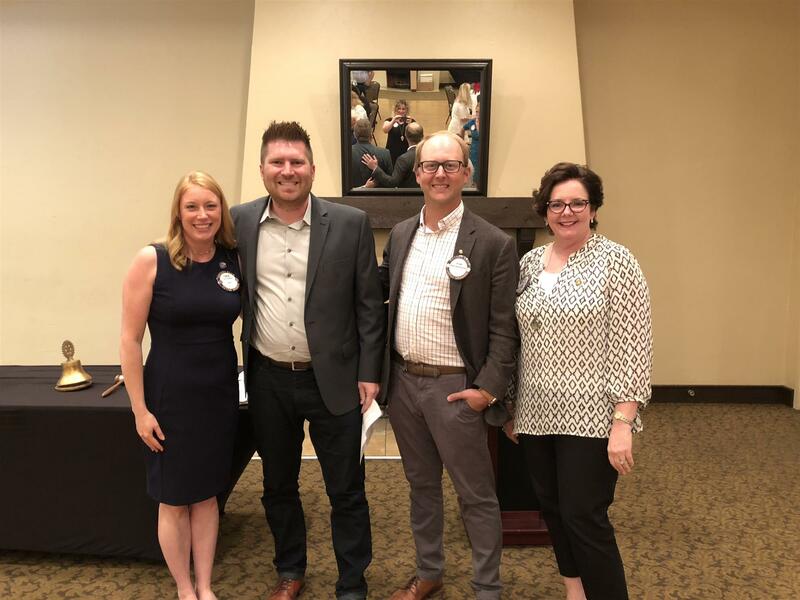 Last month at our June 15th meeting, we inducted Spring Lake Rotary's newest member - Bryan Paul! Bryan is a West Michigan native, born in Holland and a graduate of Fruitport High School. He served 5 years in the U.S. Navy before returning home in 2007. Having finished a degree in electrical systems, Bryan continued his education learning to fly small aircraft upon his return. He started a small event business in Spring Lake in 2008. Bryan had so much fun as the business continued to grow year after year. Ready for a new venture he sold the company in 2018 & started a career in residential mortgage lending with Lake Michigan Credit Union. He and his wife Emily work as a team, both in the office and at home with their two young children, Hudson & Ellie. Bryan is a continuous improvement junkie, always refining and looking for new and better ways to do things. His biggest goal in the coming years is to spend more time making a difference in the community & he hopes the Rotary is a stepping stone along that path. Welcome to Rotary Bryan! We are excited to have you with us!